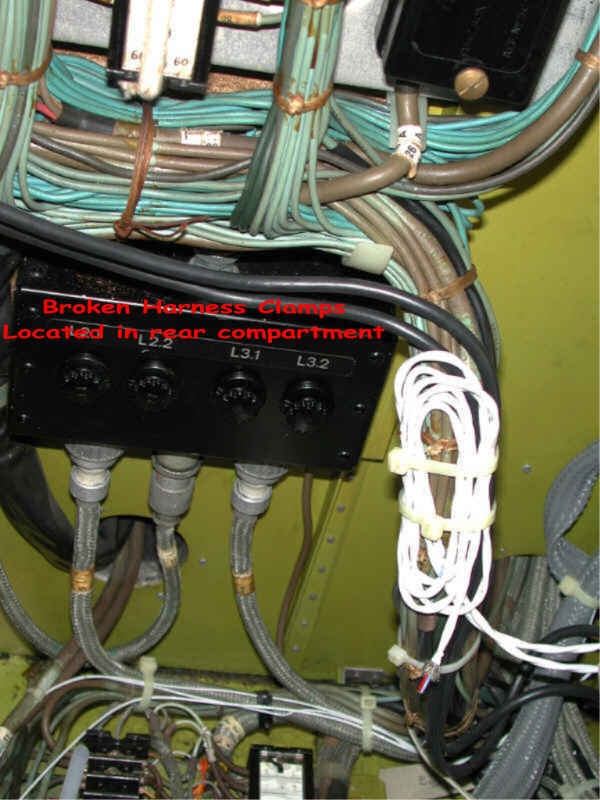 During several inspections, we found issues with aircraft equipped with the original wiring (green wires). The clamps fastening the harness to the airframe were broken. Pilatus used plastic clamps, which after more than 40 years in use started to fail. 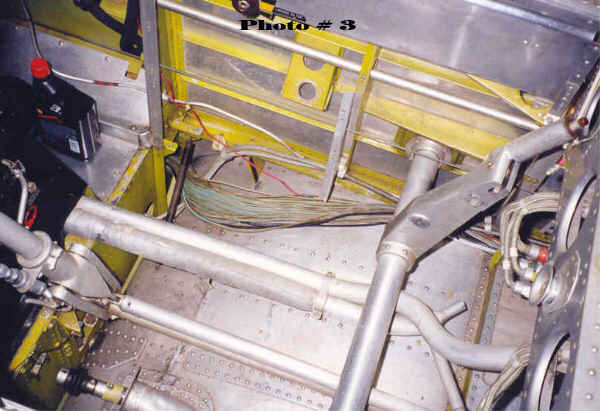 In one aircraft the cables where lying loose in the bottom of the fuselage and were chaffing on the airframe (photo # 1). 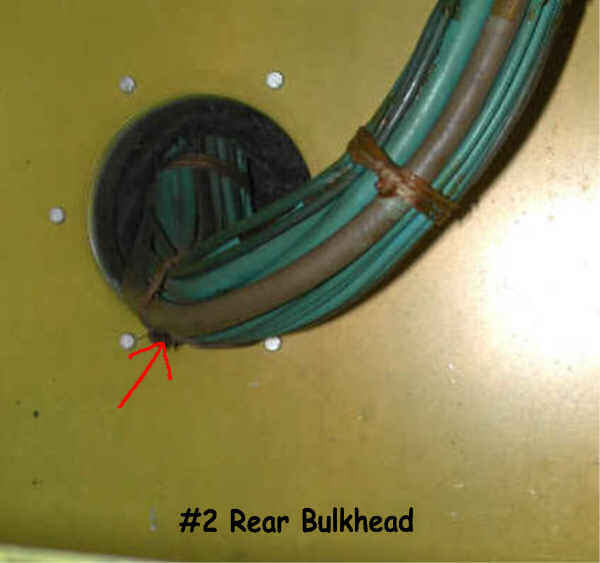 Problem areas are the rear bulkhead past through (photo #2), in lower right front below the floor panel (photo #3).